It's another busy day in the world of tech, but you don't have to worry about missing out on the most important stories of the day – we've got them all here, courtesy of our friends at TechRadar, so read on to discover breaking news from the likes of Twitch and OnePlus. The dedicated phone dismantlers at iFixit have been having a go at the brand new OnePlus 6 and made a happy discovery – despite the phone having no official IP rating, there's plenty of water resistance built into the handset. In other words, it should survive a brief dunk, but don't take it swimming. The iFixit teardown also found the phone to be difficult to repair overall, so you might want to invest in a case to protect that 6.28-inch screen. Video streaming site Twitch has announced it's going to kick off a 500-episode Doctor Who streaming marathon on 29 May, which means fans of the sci-fi show can gorge on it to their heart's content. The debut 1963 episode An Unearthly Child will be the first shown, and new episodes are going to be pushed out in eight hour blocks, with a couple of repeat blocks – that should mean you can get involved whatever timezone you're currently in. How do we make the skies safe for drone enthusiasts and everyone else at the same time? By attaching licence plates to drones, according to reports – the FAA in the US is apparently planning to have drones marked up with a unique identifier, so they know who the culprit is if one smashes into a passenger jet or a power line. As yet there's no word on such a scheme for the UK, but it's possible that other governments might end up following suit. 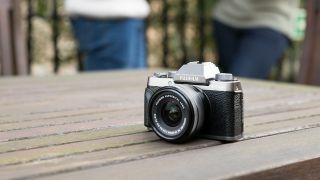 If you're looking for a more affordable route into serious photography, check out the X-T100, Fujifilm's latest snapper aimed at the entry-level crowd. It comes with a 24.2MP APS-C CMOS sensor, an expanded 100-51,200 ISO range, 4K video capture at 15p, 6fps burst shooting and a 3.0-inch touchscreen. Including a standard zoom lens, the pricing is £619 in the UK, $699 in the US and AU$1,049 in Australia, with the kit on sale in June. 5. Did Google hide Pixel 3 pictures inside Android P? Is this the Google Pixel 3? It's a bit of a far-fetched theory, but it's a fun one to consider – users of the Android P beta have noticed some smartphone illustrations in the code that just might give us a sneak preview of what the Google Pixel 3 is going to end up looking like. The pictures themselves are fairly ordinary and generic, but the thin bezels and large frame could well match up with what Google is planning. We'd say take this one with a pinch of salt for the time being.